Bertha was born to Samuel Burch and Clara Cloud Burch May 27, 1923, in Ignacio. She worked for the Bureau of Indian Affairs, the Pino Nuche Restaurant and served on various tribal committees. She enjoyed traveling and had toured Korea, Australia and other parts of the world. She was the first Southern Ute Tribal Royalty. 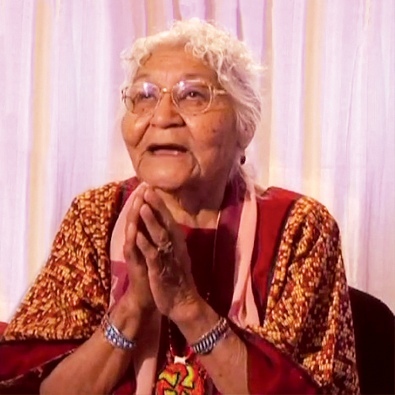 She participated in horse racing, Sun Dance, pow-wows and other Native American dance cultures. She was a member of the Native American Church. She raised numerous children in addition to her sons, nieces and nephews. The underlying theme in Native American spirituality, as well as most Indigenous spirituality, is to honor the sacredness of the great circle of life. Sacred circles, medicine wheels, and mandalas are images that direct us to the center of our being, to the truth of who we are. Within the sacred circle of “everything that is” we begin to remember our relationship with all life. We recognize our relationship with Father Sun and Mother Earth and the Great Spirit, Creator. It becomes obvious that we are all related brothers and sisters in one great family, not just our human family. The Indian Elders say, ” we must remember also the four footed, those who swim and those who fly, those who crawl and those who move very slowly like the stone people and all the green and growing things”. Within this sacred circle we are one. What we do effects everyone, everything. These great teachings remind us of our responsibility to care for all life. In our pursuit of progress and comfort we have separated ourselves from our place in this great circle. Earth traditions bring us back in harmony and balance within the circle. The Sundance of the Plains Indians is the center of our spiritual traditions. It is a ceremony of sacrifice and thanksgiving honoring the sacredness of the circle of life. From sunup to sundown, each day for four days they dance and fast-without food, or water. Each day the four major races of people are prayed for; children, adolescents, adults and elders are prayed for; those who swim, fly, crawl, the green and growing things, and the stone people are prayed for; each of the four sacred directions, the powers of those directions, and the elements are prayed for. Everything is brought together in the circle, all living things are danced and sung for. In the center of the circle is the Tree of Life, and the people dance around her. They dance and sing and focus on “all our relations, and our humble place in the circle of life”. For four days the dancers pray for all of creation first, before they include themselves.